Kitchen measurements in a whole new light! Next time you make brownies, use a tyrannosaur’s brain of flour, or sugar equal to the water in a cumulus cloud the size of the bus. 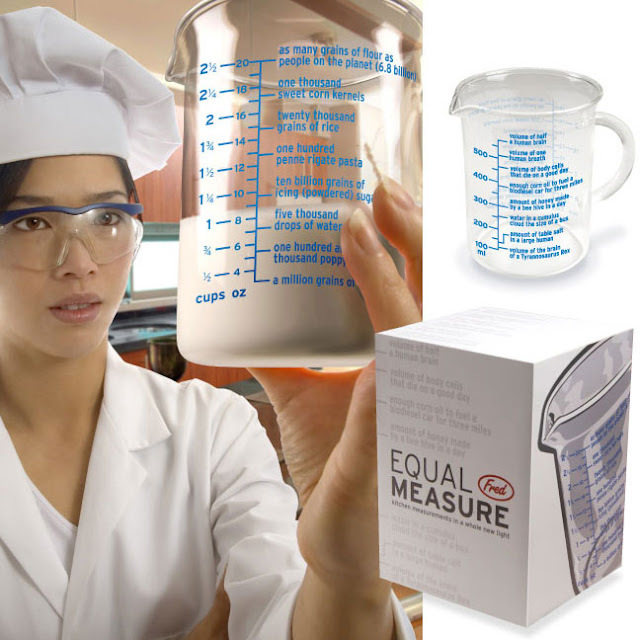 Equal Measure is half measuring cup, half laboratory beaker, and all fun. Don’t worry though, ounces, milliliters, and cups are included on the scale too!